How do I 3D print MMD Models? Is it allowed to 3D print MMD Models? Are there any guidelines on 3D printing MMD Models? How do I make my own figurines using MMD models? 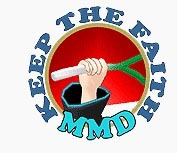 Hey readers of LearnMMD! In this article I am going to talk about something different… other than how to make animations. 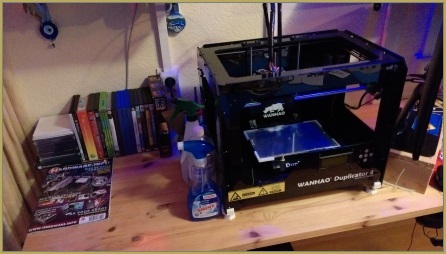 I am going to introduce you to the world of 3D printing! 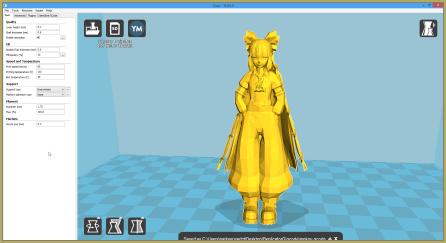 Not just 3D printing, but 3D printing MMD models! I will explain the basics of how to do it. You (the reader) must find out your perfect settings and methods, since mine are not perfect. I will just give an example on how to do it. I have wanted to write about this for a while now since 3D printing is becoming more and more popular, and affordable! I like to start out by giving a disclaimer on 3D printing MMD models! Not all model authors are keen with you 3D printing their stuff! Make sure to read the readme for the rules of your model! If it says anything like: “Do not 3D print”, then DO NOT PRINT! Does you model say: “Do not edit!” Then you also can’t 3D print it since you need to edit the model! If the model doesn’t say anything about 3D printing, but allows you to edit it. Then you should be fine. Most if not all models say: “Do not use commercially”, this means you may not sell the print! Do not sell the print. Print the model for personal use only! No redistributing of the edited model, except when the author allows it! Don’t forget to credit them! You must edit the model so it is printable. You must open it up in Blender using a plugin called pymesio. 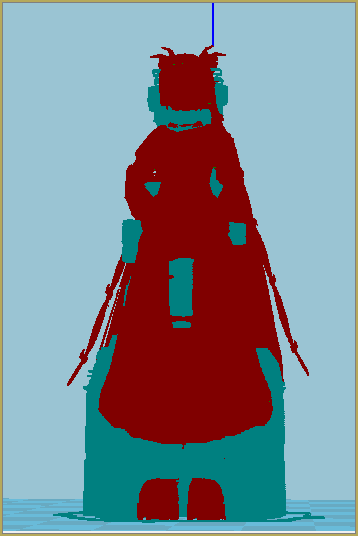 After importing, you must pose it within Blender. Make sure your pose is easy to print! There is a 3D printing plugin in Blender to help you prepare the model for fixing. After posing, export the model as a STL. When you are done with the fixing you can start printing it. Now printing complicated models like these is very hard and requires a high skill in 3D printing! You must have calibrated your printer perfectly! I am not going in depth on what settings I use since this varies A LOT for each printer, and the operating environment! But I want to give one quick tip to get your print to stick to the bed: I use a small layer of glue stick, the one my local supermarket sells works pretty good. (Also pretty cheap, and it lasts quite a few prints!) I just let it dry and then heat the bed to my desired temperature to print. For me it works perfect but for you it may be a disaster. If you have any questions feel free to ask in the comments, I will try my best to help you, although 3D printing is mostly something you have to figure out on your own! 3D printing is all about learning from your mistakes and improving. Recently a 5 hour print of mine failed at the last few layers. The top infill wasn’t correct. So I started again with more top infill! Now I know that I need at least 1.2mm on the top/bottom of the model! Good luck and have fun with your 3D print! Do you know how I can convert the MMD file to an OBJ or STL and keep the textures? Try importing into Blender via MMD Tools, then exporting a .obj and a .mtl. Note that your textures cannot have spaces in their filename to do this, and the textures aren’t packed– you have to distribute the texture images, the .obj, and the .mtl all together. .stl is even worse. My understanding is that not only does it not contain texture data, it doesn’t even contain UV data, meaning that you can’t recreate the texture mapping the way you can with an .obj. These are fundamental limitations of the file formats– same as, you can’t store multiple photoshop layers in a JPEG. But the real question is, why do you want to? There may be some other solution for your problem. You mentioned there were free alternatives to Netfabb, can you tell me some? I also have problems hiding items that the model has (like guns) that you can normally hide in MMD. Do you know how to delete them in Blender so they don’t appear in the print? for Netfabb, I don’t have a good one to reccomend but there is a blender plugin that can fix your models. 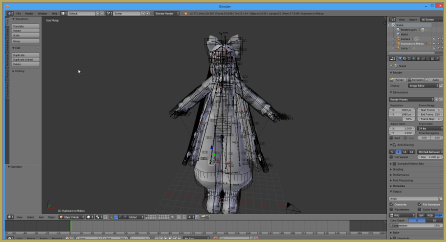 I use 3D Custom Girl, make it into a PMD, then run it through Blender and save it as an STL. I’ve tried it with and without Netfabb Cloud, and the problem remains the same: The head doesn’t print right. Because of the parts in the mouth that make it not a solid piece. I checked once sliced to make sure it wasn’t just the printer, and yes, the head looked wrong after being sliced. How are MMD model heads in one piece if they also have pieces in the head? What’s the difference between a 3DCG model turned into a pmd and a MMD pmd? Do you know how to fix it to print right? Or could you try it and see how to make it work? Launch Blender, select File->User Preferences->Addons, and click Install from File. Find the .zip you downloaded and install it. After that, find its title in the list of installed plugins (it will be a lot longer than presented in the filtered screenshot) and enable it. Wait some time for it to activate, and you’re good to go.